Scrap a Motorboat with Boatbreakers! We can scrap a Motor Boat where it is or bring it back to our boat scrapyard. If you have a Motor Boat that just needs to go we can provide a quick solution to your situation. Fill in our new Scrappage calculator to find out how much it will cost for Boatbreakers to scrap your boat. 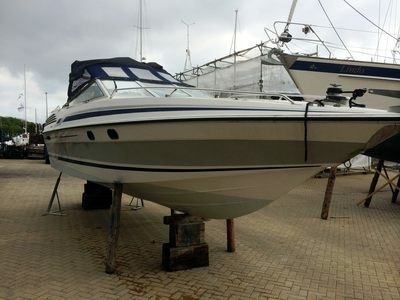 Motor Boats can pose different challenges during the scrappage process due to the harmful oils and fuels that could be present. Spread the cost of your scrap job with our 10 month finance option.